Brushing Section: The brusher is fitted with nylon bristle rollers or soft horse hair rollers rotating on their own axis. The products will be let onto the bristle rollers manually. The apples got polished while moving on the rotating brushes. Fans are provided top on the brushes to remove moisture on apple if any. 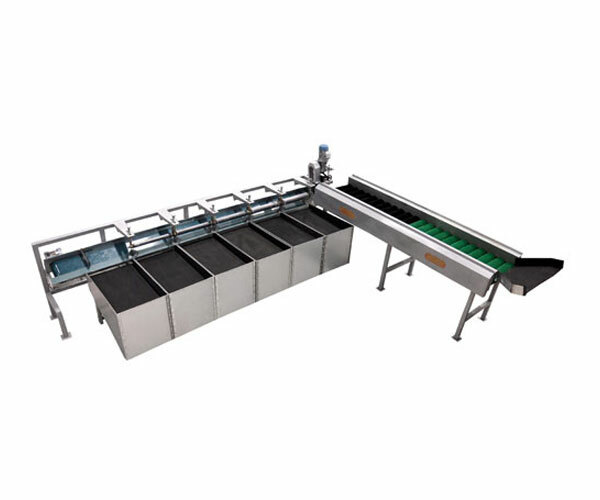 Size Grader ( 1 LANE, 6 GRADE ): Rollers and other contact parts are fabricated from materials which are recommended for food processing equipment. Structure of mild steel. This is a roller type grader, with openings between the rollers. The openings increase gradually towards the discharge side. Products are graded according to their diameter. There will be provision for adjust the gap to grade different products. Control Panel: The control panel withmotor starter and main switch, helps in proper electrical synchronization and control of all the machines from a single place. All the machines can be switch On or Off from a single place by a single person. Fire resistant wire will be used with standard colour coding. Speed various is also available in the machine. 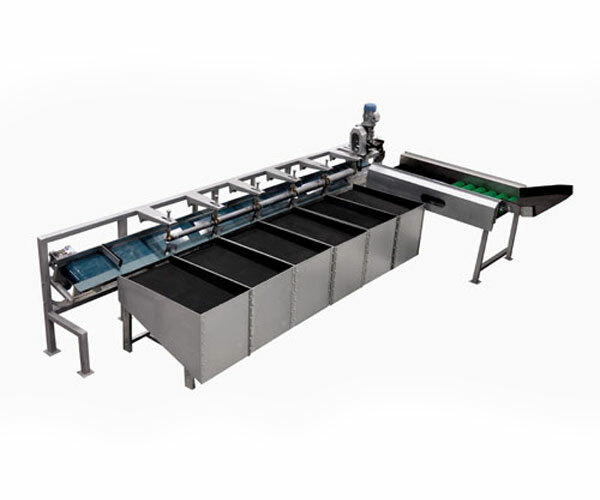 Brushing Section: The brusher is fitted with nylon bristle rollers or soft horse hair rollers rotating on their own axis equipped with High Quality bearing (SKF).The products will be let onto the bristle rollers manually. The apples got polished while moving on the rotating brushes. Fans are provided top on the brushes to remove moisture on apple if any. Fabricated with MS Square Pipe Structure & Heavy Duty GI Sheet. 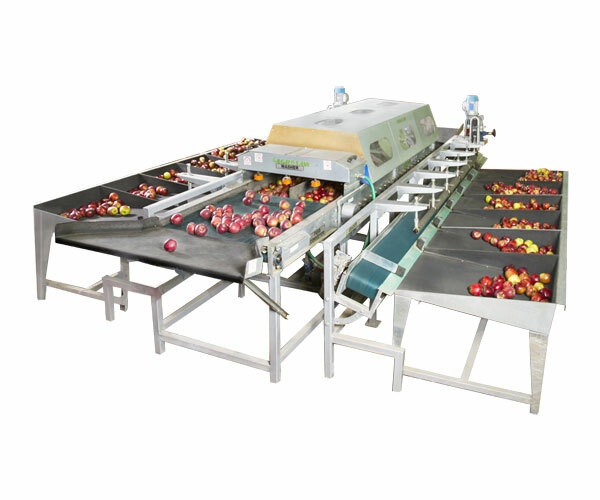 Size Grader ( 2 LANE, 6 GRADE ): Rollers and other contact parts are fabricated from materials which are recommended for food processing equipment. Structure of mild steel. This is a roller type grader, with openings between the rollers. The openings increase gradually towards the discharge side. Products are graded according to their diameter. There will be provision for adjust the gap to grade different products.